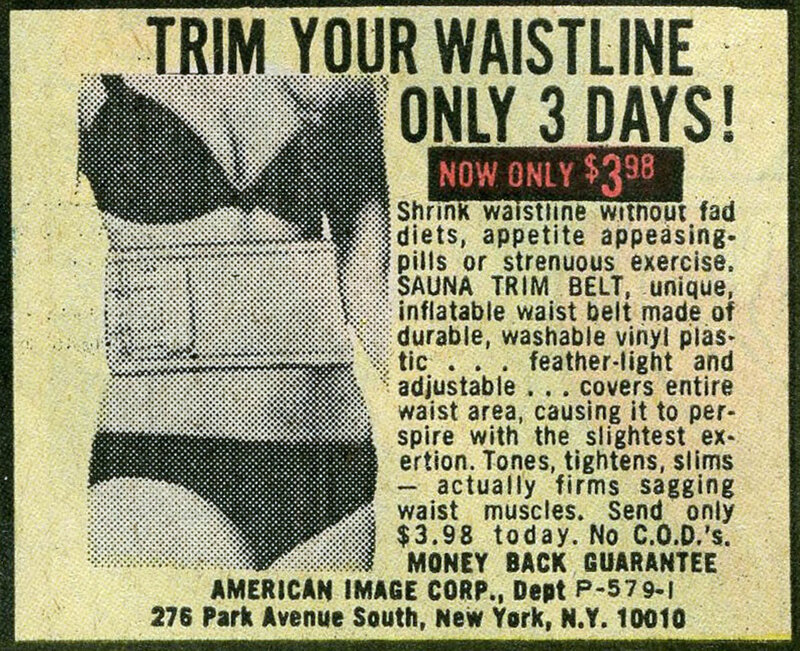 TRIM YOUR WAISTLINE ONLY 3 DAYS! Shrink waistline without fad diets, appetite appeasing-pills or strenuous exercise. SAUNA TRIM BELT, unique, inflatable waist belt made of durable, washable vinyl plastic . . . feather-light and adjustable . . . covers entire waist area, causing it to perspire with the slightest exertion. Tones, tightens, slims — actually firms sagging waist muscles. Send only $3.98 today. No C.O.D.’s.